It’s time for another check in with the gardens! July brought a break from the intense heat we experienced in June which was welcome for the humans, animals and plants on the farm. The vegetables are starting to come in starting with the beets – most of them went into the freezer but I did make some pickled beets. 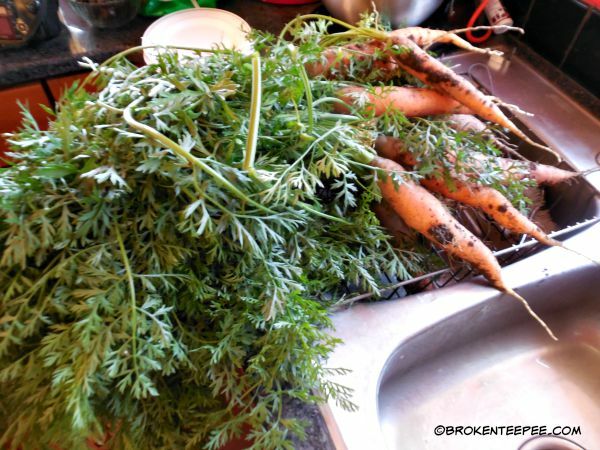 Over this last weekend the carrots came in…. 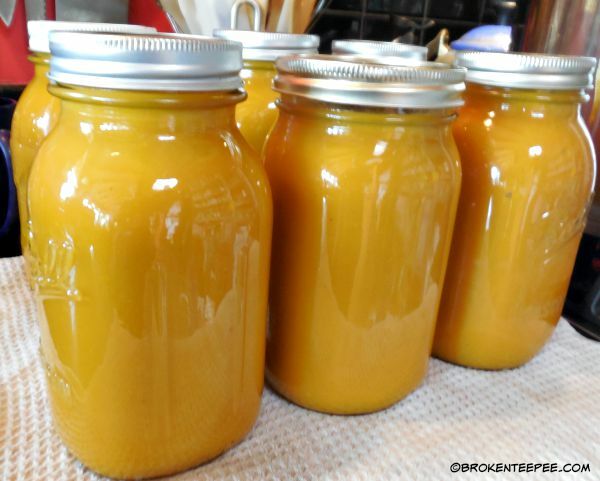 I’ll have post soon about them; most went into the freezer and I make this yummy ginger carrot soup that I can for the hubby. 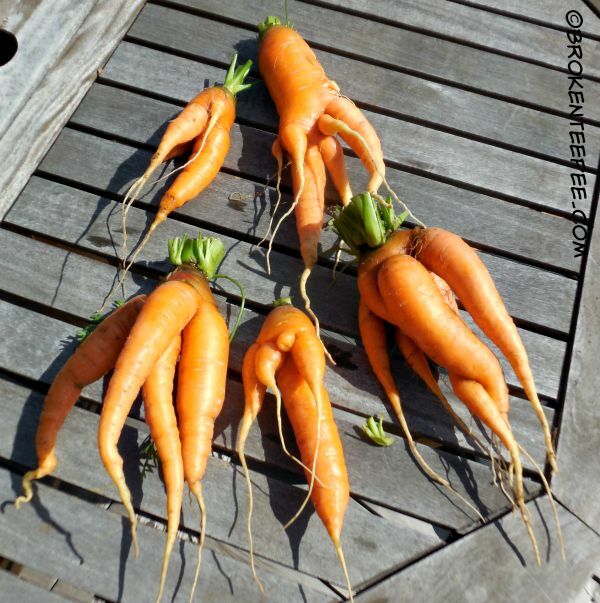 Of course there were the requisite WTH carrots. Every year we get some that just defy explanation. It does make things a little more interesting, I’ll say that! 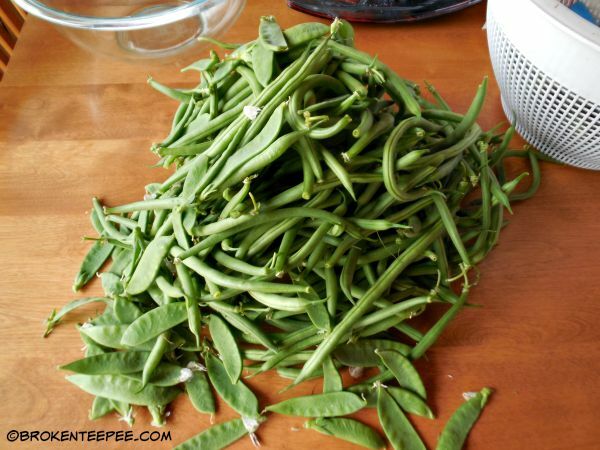 The snow peas have been coming in for quite a while and are just about finished for the year. The green beans have just started and will come in for the next month or so. 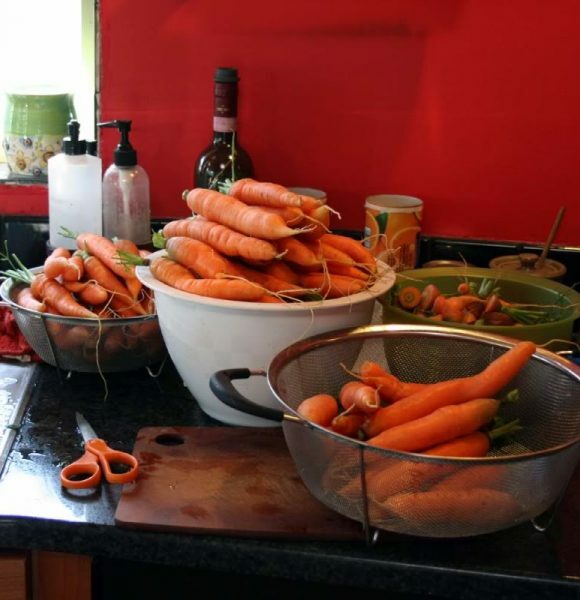 I get piles of them that I trim, then blanch before freezing. Little bits of broccoli have been coming in as well but not as much as I’d like to see. 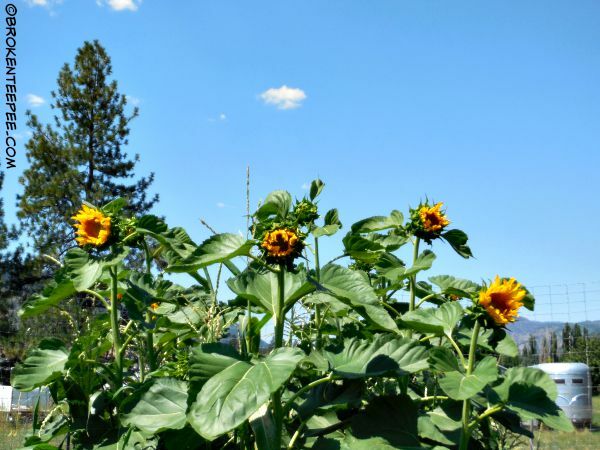 The sunflowers are blooming and adding a glorious bit of color to the garden. I’m really enjoying seeing them. The chickens will really enjoy them when they die. I hope you enjoy seeing the progress of the garden. I’ll have another update on September 1st. By then hopefully there will be melons and tomatoes!